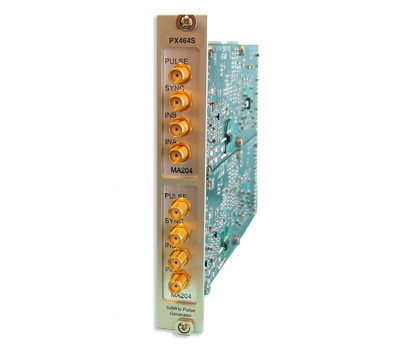 The PX464S is a one or two channel fully programmable pulse generator that allows the generation of precisely timed pulses of programmable freq., pulse width, delay and amplitude. This module is an integration of a PXI Carrier and our MA204 mezzanine. See the MA204 & AMi3002 for links to manuals and software. This product requires a PXI/cPCI Chassis with replaceable card guides per the Eurocard mechanical specification.